Lois Kirkpatrick serves as the media contact for Loudoun Economic Development. As the head of the department’s Marketing and Communications Team, her goal is to raise worldwide awareness of the advantages of Loudoun County as a business location. 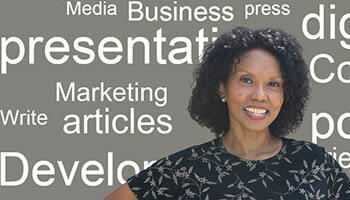 Kirkpatrick and her team research and write content for publications, blogs, social media and the web; produce ads, podcasts, videos and business development presentations; develop marketing collateral; and manage media relations. She has a degree in journalism and an MBA, and has produced award-winning work as an advertising copywriter and a public relations professional.